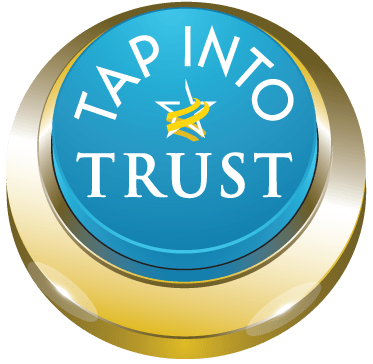 Late last year Trust Across America-Trust Around the World published the first in a planned series of award-winning books. TRUST INC., Strategies for Building Your Company’s Most Valuable Asset brings together the wisdom of 32 experts. Six months later we released our second book, Trust Inc. A Guide for Boards & C-Suites. In this book, sixty experts have joined forces to offer 100 strategies. Throughout the month of August, we will be featuring 31 essays from our second book. Each stands alone as an excellent resource in guiding Boards and C-Suites on driving a trust agenda at the highest level in the organization, and provides tools for those who choose to implement trust-building programs in their organization. This nineteenth essay brings advice from Linda Fisher Thornton, the CEO of Leading in Context LLC. Linda is an authority on the future of ethical leadership, and writes and speaks about how to bring out the best in people and organizations through proactive ethical leadership. She is the author of 7 Lenses: Learning the Principles and Practices of Ethical Leadership, a clear guide to proactive ethical leadership. In addition to consulting and writing, Linda serves as Adjunct Assistant Professor of Leadership for The University of Richmond School of Professional and Continuing Studies. Her website is LeadinginContext.com. Linda is also a 2014 Top Thought Leader in Trustworthy Business and a member of the Alliance of Trustworthy Business Experts. Just handling problems as they arise isn’t enough. The Conference Board calls being proactive about business integrity and compliance critical for senior management, and even more so for boards of directors. If we manage corporate integrity based on reacting to problems, by the time we react, the problems are usually very difficult to manage. Being proactive about corporate integrity keeps CEOs and Boards focused on prevention and not cleanup. Deloitte Corporate Governance finds that an effective board proactively sets the standards and monitors integrity inside and outside of the boardroom. Deloitte’s recent publication “Integrity in the Boardroom. What Does it Really Mean?” offers an integrity oversight model. I hope you have enjoyed this next sneak peak into our second book. If this brief look behind the door has been helpful, follow this link to order both of our books online. August 1: There’s a Reason Why We Call Them Trustees explains why being an “absentee landlord” doesn’t work. August 2: Kill the Evening Before Dinner and take a small group of front line employees to dinner instead. August 3: In Head of Business- Hope for the World we introduce the Winston “V” Model. August 4: Reputation vs. Trust and why leaders should care more about the latter. August 5: C-Suite Must Speak With a V.O.I.C.E. of Trust, a new communications model. August 6: It Ain’t What You Do (It’s the Way You Do It) discusses an organization’s core values and traits. August 7: Superficial CEOs and Their Boards talks about the fiduciary responsibility of board members. August 8: Headline: Be the Leaders Others Will Follow we learn about consistency between actions and words. August 9: Towards a Mindset for Corporate Responsibility requiring a shift in mindset on the part of boards. August 10: Warning: Don’t Drown in the Slogan Swamp explores the (mis)use of slogans in corporate America. August 11: Trust in the Boardroom in creating competitive advantage. August 12: Three Ways to Build Trust and organization that are blind to the dialogue. August 13: Lead from the Front explains why it’s important to remove the filters between leaders and employees. August 14: Building Trust For Boards & C-Suites and why published scientific evidence is important. August 15: (Trust) Communication & the Hiring Process discusses engaging employees in the decision. August 16: CEO Tip: Trust Your Board as Your Ally emphasizes the importance of trusting partnerships. August 18: Trust & Strategy Thinking reminds us that it is hard to trust when you cannot relate.